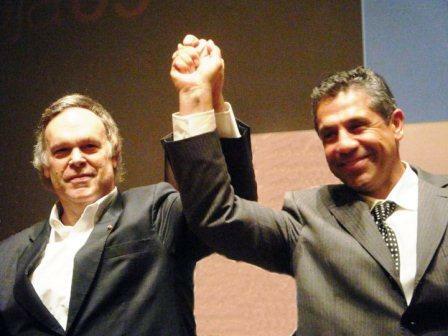 Robert M. Parker, Jr., The Wine Advocate, and Pancho Campo, the Wine Academy of Spain. Andrés Proensa is one of Spain's top wine journalists, many think the best of them all. He is the author of the excellent Guía Proensa, an annual guide to Spanish wines that is a treasure trove of information and insights, especially to those who know the Spanish wine world and can read between the lines. He also publishes PlanetAVino magazine and runs the Proensa wine website. 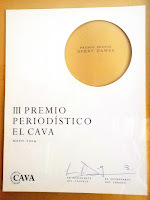 On Sunday, the Proensa website published the following story, El Pero Trago de Campo y Miller, (The Worst Taste of Campo and Miller) by PlanetAVino writer Raquel Pardo, yet another balanced account of the Pancho Campo-Jay Miller-Robert Parker troika controversy, this one coming from yet another of Spain's top wine writing stables. is reported to have charged €100,000, out of which Miller was purportedly paid €10,000. 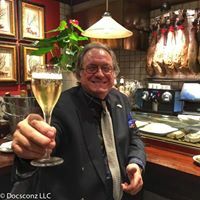 Several bloggers published emails and documents that seem to show that the Spanish wine taster (Jay Miller) for Robert Parker did not respect the ethical standards of (Parker’s) The Wine Advocate. "We have been selfless (not doing it for a profit) in spite of what the blogs are saying and (up to) today we have not even accepted an invitation to dinner." With these words, President of The Wine Academy, Pancho Campo MW, cited on Thursday December 2 (in reference) to what has become known on the Web as "Campogate," a controversy raised on the Internet stating that Campo and Jay Miller, in charge of Spanish wines to the U.S. magazine (newsletter), The Wine Advocate, could have charged money to visit, taste and rate Spanish wines, which expressly violates the internal rules of the publication. In those rules it is affirmed that employees of the publication, which is what Miller is, should write strictly about what's in the bottle, free from external pressures. 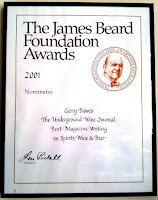 A couple of days after Jay Miller resigned (his position) as a (Wine Advocate) taster, Robert Parker, owner and founder of The Wine Advocate, caused a river of lines on the Internet where professional journalists on their blogs and other bloggers commented about what happened. Miller has only issued a statement in which he says he has never charged for visiting wineries or wine tasting, and ensures that he is leaving the publication to undertake other projects and not due to criticism about his work in Spain in recent months. and 26 November) of Miller and Campo therefore amounted to about 29,000 euros, according to the aforementioned emails. In a statement issued last Saturday (Dec. 10, 2011) by The Wine Academy and signed by the MW (Pancho Campo), whose headline reads "TWA (The Wine Academy) categorically denies the charges against him (Pancho Campo) and against Jay Miller" stating that "in the contract signed by ASEVIN it is clearly stated that in no way could they (Campo and Miller) ask for money for the event, not for the wines to be tasted in the Master Ttasting Class nor for any possible visits Jay Miller might decide to do during his stay on this trip. Before Jay Miller agreed to attend the event mentioned, ASEVIN sent an email trying to raise money from the wineries, against the rules clearly spelled out in the proposed agreement. 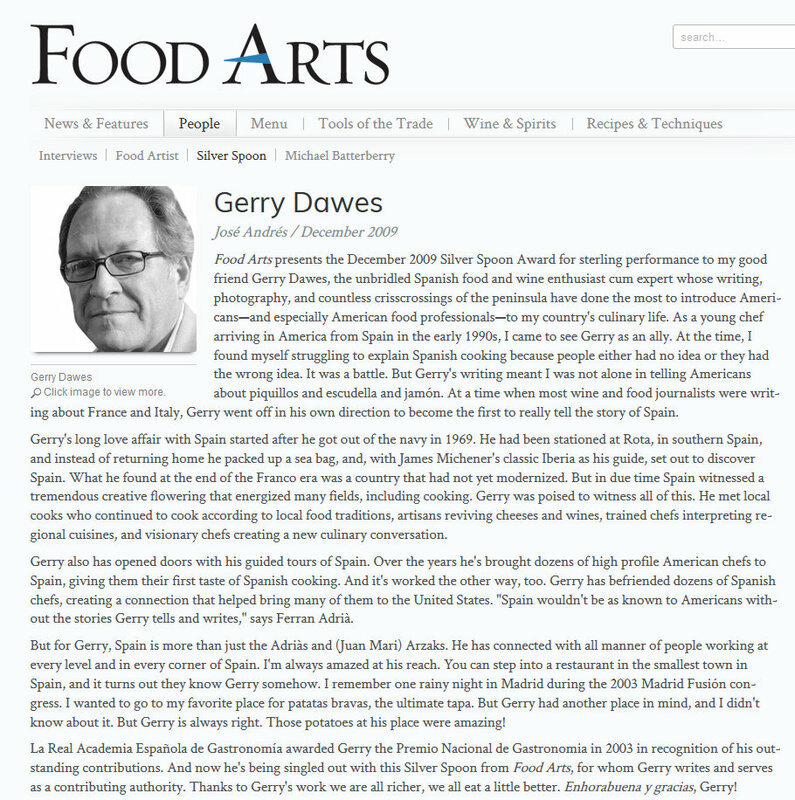 Indeed, on November 5, ASEVIN launched a statement admitting its responsibility for having sent an email money soliticing money from bodegas to cover the cost of the visit and retracted it, stating that "in no case (ASEVIN, The Wine Academy and The Wine Advocate) would proceed to collect any amount of payment from the wineries for a Jay Miller visit to their bodegas in the Murcia region in order to (for him) taste their wines. " (Jim) Budd also published what is supposed to be a contract between the organization (ASEVIN) and The Wine Academy, although in the document seen in the copy (on Jim’s Loire blog) nowhere can be found the signature of Campo’s wife, Melissa Butler, the manager of the company (The Wine Academy; domiciled in Florida according to the document). 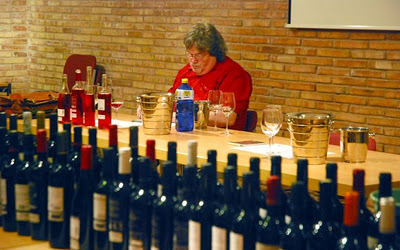 Madrid and the "pay for play" or "no pay, no play"
After new e-mails came to light relative to a similar visit from both (Campo and Miller) to Madrid, both proposed for the summer, where the commercial director of The Wine Academy, Adela Richer, specifies, in an email sent to the Regulatory Council of the DO Vinos de Madrid last June 3, a program proposed by Pancho Campo that would consist of visits to three or four wineries, tasting and staging a press conference similar to the one held (earlier in the year in La Mancha) at the Fenavin wine fair and to put on a "tasting on wines that have U.S. importers and that Jay (Miller) has not rated before (a indispensable requisite for being published [in The Wine Advocate]). " In this same email exchange, Pancho Campo sent another e-mail from his smartphone (iPhone) to Richer and to the Regulatory Council of the DO Vinos de Madrid, in which it literally says that "private visits off the agenda, such as this, are done on rare occasions for a price not less than 40,000 euros. The fact that Jay has agreed to stay two days more for half the usual price is a miracle and an opportunity that will be difficult for Madrid to have again." Finally, Miller's visit to Madrid did not take place because of a lack of participation of by the wineries. This is what sparked the doubts about whether Miller and Campo, without fees involved, do not go to certain wine regions to meet them and thus have Miller taste and evaluate los vines in order to publish his notes in the prized Wine Advocate. 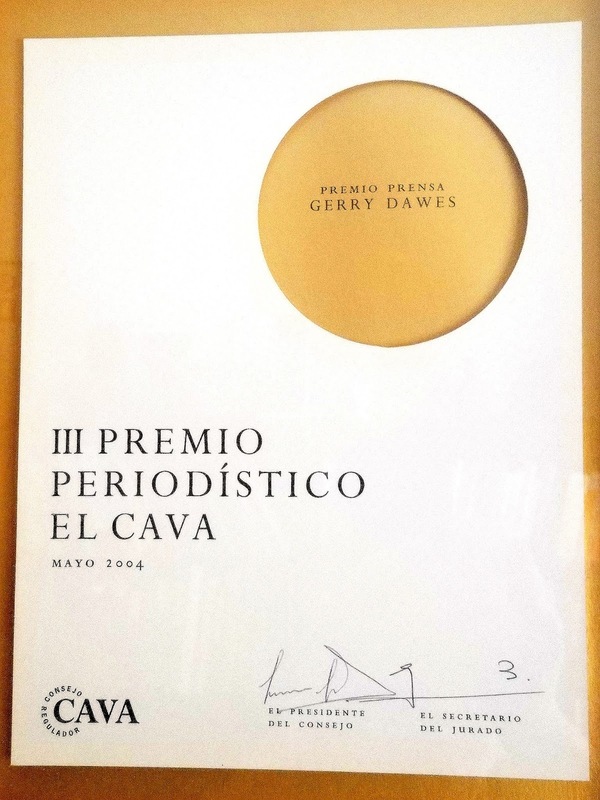 In the eyes of an industry source who preferred to maintain anonymity and claims to know first hand about these events, "in Spain, The Wine Advocate, the publication owned by (Robert) Parker and one of the those wine publications that most determines the prices of wines in the United States, is being corrupted by the influence of Pancho Campo over Jay Miller." Again, in a statement of denials, The Wine Academy clarified that Jay Miller was always informed about the events in which in might possibly participate, and as to all the details related to the event, and added that Robert Parker, the American guru that can raise the sales (and prices) of the wines scored above 90 points in his publications, informed Campo’s company that The Wine Advocate had no problem having members of his team take part in "lectures, conferences, seminars tours and tastings." (Campo) added that he had in his possession signed documents that specified that the wineries had never paid for visits from either guru (Campo or Miller), nor for wines tasted nor to participate in Master Classes. Again Budd's blog, aided by the Associated Press journalist Harold Heckle in Spain, published on Saturday images of a letter signed by the Chairman of the Board of the Designation of Origin Vinos de Madrid, Juan Bautista Orusco, which specifies that the 20,000 euros that were budgeted for the visit of Campo and Miller were for a Master Tasting led by Campo but with the American (Miller) as the "guest star," along with a lecture by the MW (Campo) on wine exports. 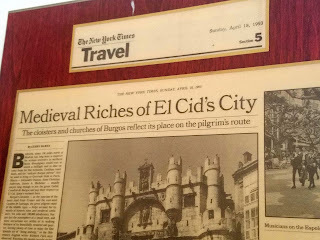 (Budd’s post) also clarifies, contradicting what Campo described in the email he sent to Madrid wines from his smartphone, that The Wine Academy at all times made clear that would be a event that was not connected to of the American publication (The Wine Advocate), and that wineries would not be charged for including their wines in the Campo tasting. In the last section it specifies that Miller would agree to taste and rate Madrid wines on a future visit, which had not happened (Miller no longer works for The Wine Advocate) and that this trip would be at no cost to the wineries that were part of the official Parker publication visits. 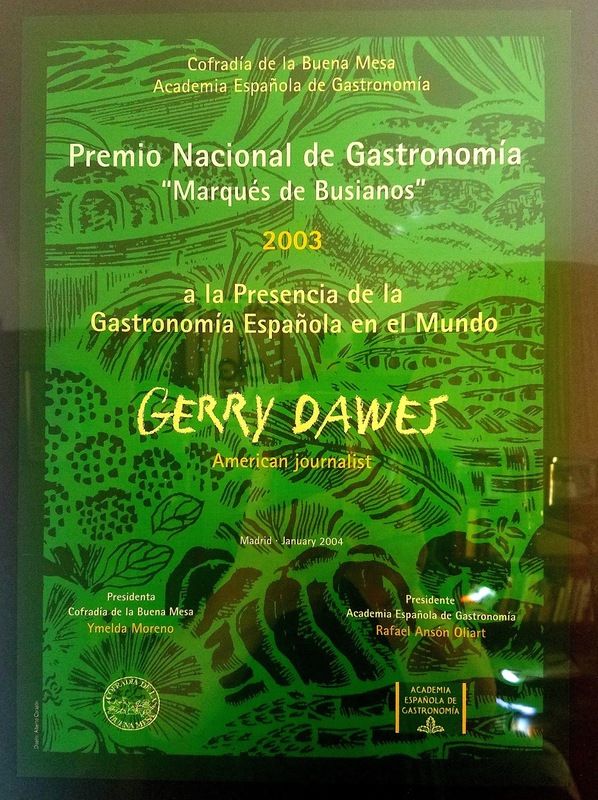 On Sunday, this same blog (Jim’s Loire) published photos of Jay Miller tasting a number of wines in Navarra, allegedly for The Wine Advocate. However, in a Wine Academy statement about the visit to the region it said that "at all times it was made clear to the DO Navarra that this event was not an official trip for The Wine Advocate" and that if the American (Miller) was tasting or visiting wineries, (such visits) would be free and always under his (Miller’s) criteria. The Spanish journalist Ramon Franco, in his blog, also said in one of his entries referring to this that the former director of the Instituto Catalán de la Viña y el Vino, Oriol Guevara, said that this institution, under the (auspices) of the Generalitat (Catalan Government) did not pay anything to have Miller and Campo for tasting wines in Catalonia, with the exception of glass rental. On December 4, after that last visit to Spain, Miller communicated his resignation to The Wine Advocate and was quickly replaced by Neal Martin. Meanwhile, Robert Parker announced possible legal action against bloggers and journalists for defamation and there was the announcement by a team member of The Wine Advocate that months before in January Miller had given notice that he would leave, a fact that was possibly unknown to the agencies and wineries the guru (Miller) visited during these past months, and it is not known if The Wine Academay was aware of it (the fact that Miller was retiring). Miller, to date, and apart from his statement of resignation, has not spoken again. 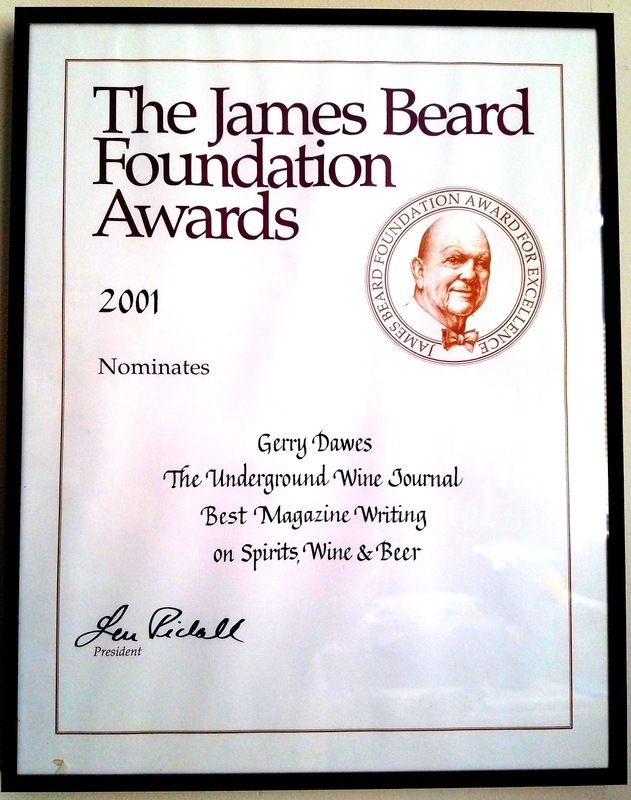 For the PlanetAVino director and owner of this website, Andrew Proensa, "this is a tangle of contradictions with two scenarios: the aggressive commercial posture of Pancho Campo and his Spanish organization and a reaction by a significant part of the international wine critics before what they consider to be the excessive power of the American critic. In both cases, the issue acquires the peculiar smell of a campaign and its (attendant) miseries. On the one hand, the chronic (modus operandi) of The Wine Academy of Spain by Pancho Campo, who apparently has no qualms about the use, the inappropriate use or (as) a partner in crime, of Miller’s name as a lever to get contracts. On the other hand, the anti-Parker offensive, with undoubtedly well founded aspects and others excessive almost to (the point of) caricature, seems to have gotten results and appears to have diminished the enormous influence of the Maryland lawyer in the world of wine. The Spanish uproar has all the earmarks of using Campo’s foibles as as ammunition to shoot at Parker. And Spanish wine, with a good part of their institutions caught in a (bad) situation and trying to plug the breach anyway they can, looking dazed and uncomprehending--as you can see if you have the patience to follow the comments of amateurs, professionals, more than a few opportunists in blogs and chats. " PlanetAVino No. 40 includes a Andrés Proensa’s article, "Miller and Campo, the charge of the 7th Cavalry."